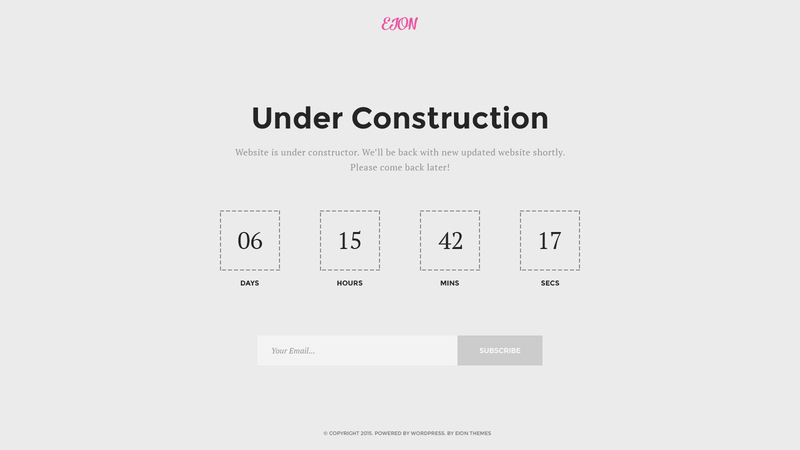 Be quick, only the first 200 downloads of EION are free! 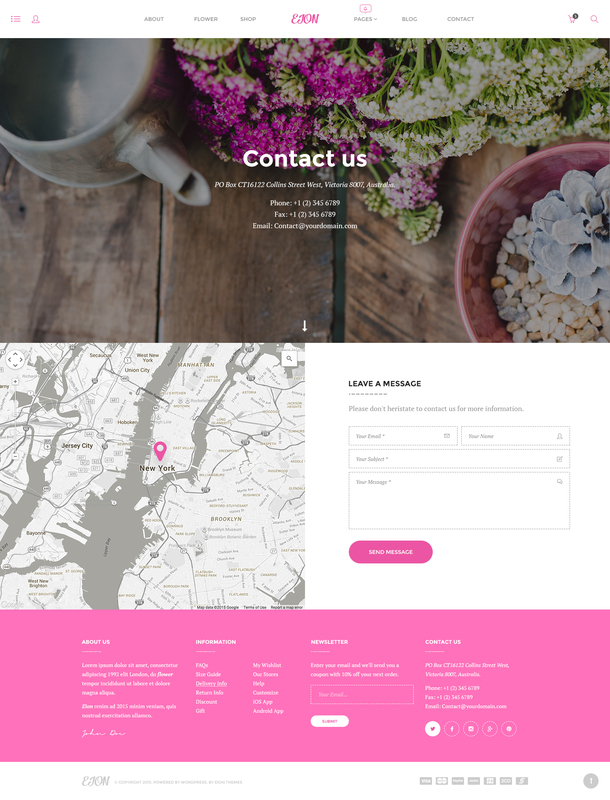 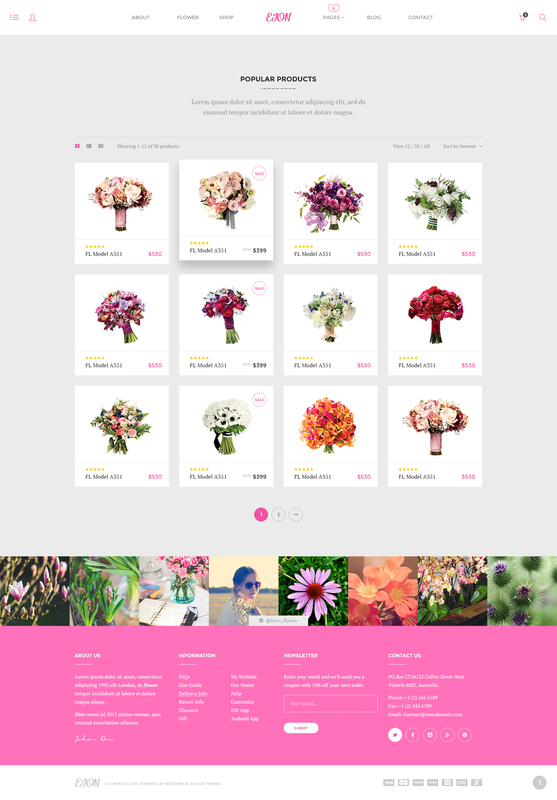 Based on the design of Velo – Premium WP Theme for Bike Store, EION – a free glamorous and charming PSD template for flower shops or beauty-specialized shops, is now available on Knighthemes. 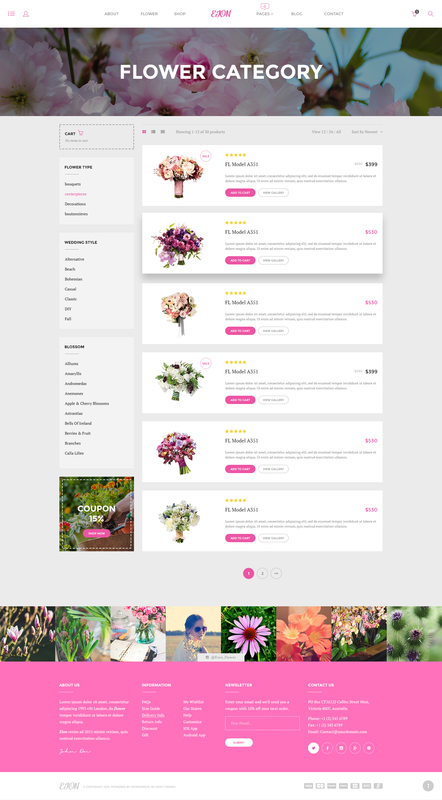 This should-not-be-missed product will never disappoint you for various features namely 3 Glamor homepage layouts, easy and customizable PSD files and font awesome icons, etc. 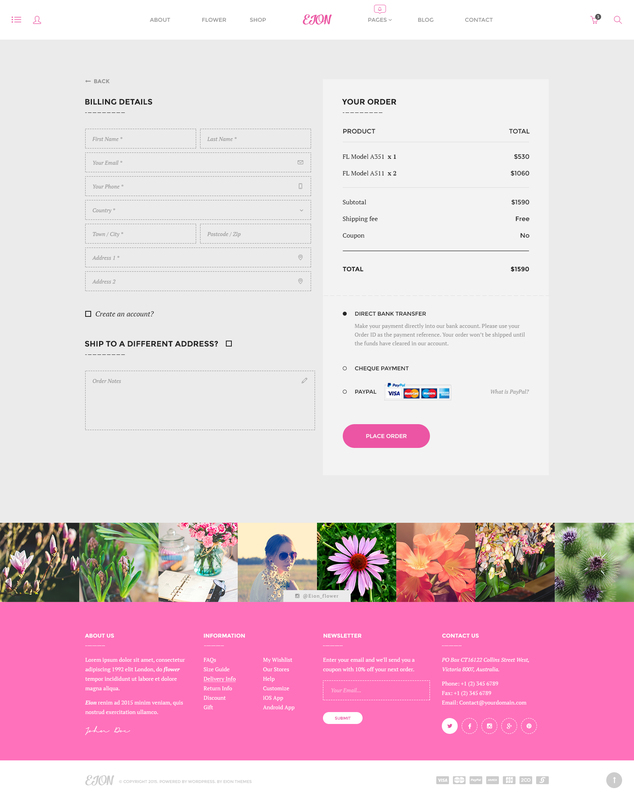 Moreover, your customers would be seduced by pink color palettes and logically layered PSD files owned by EION. 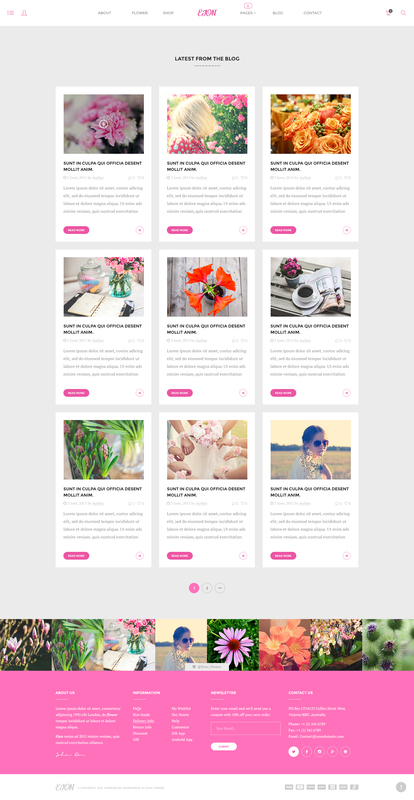 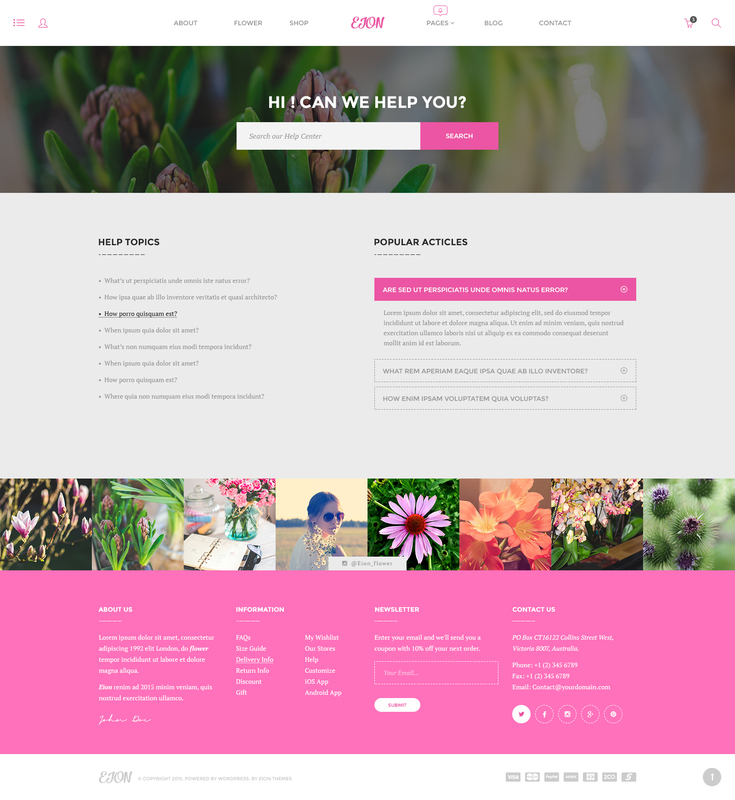 Subscribe to Knighthemes and download this Template to see how amazing it is! 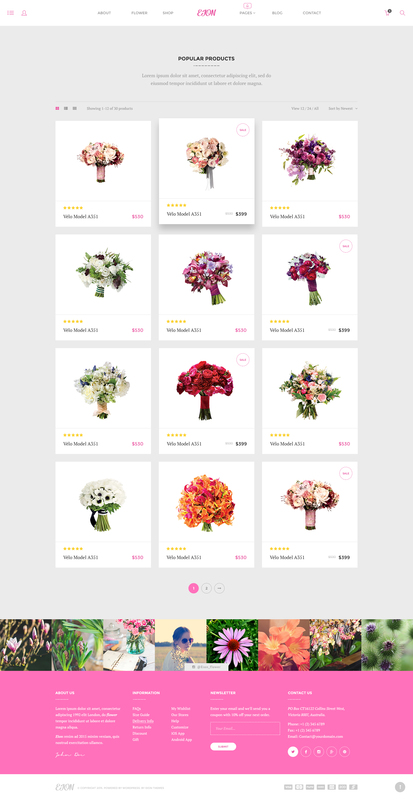 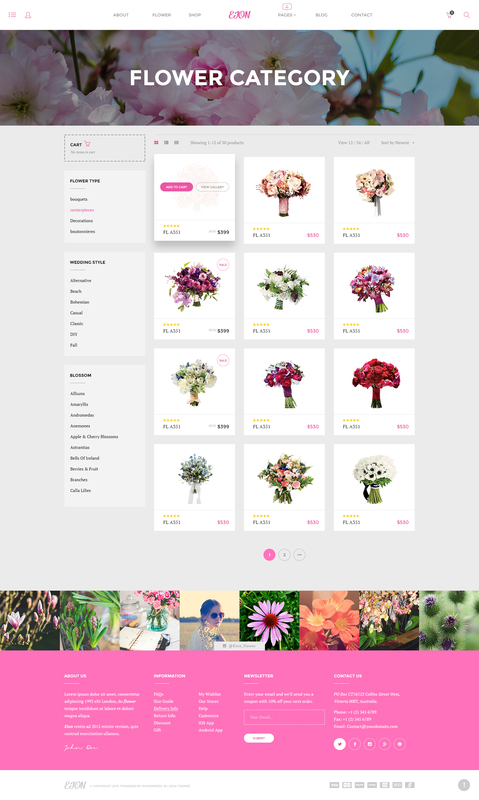 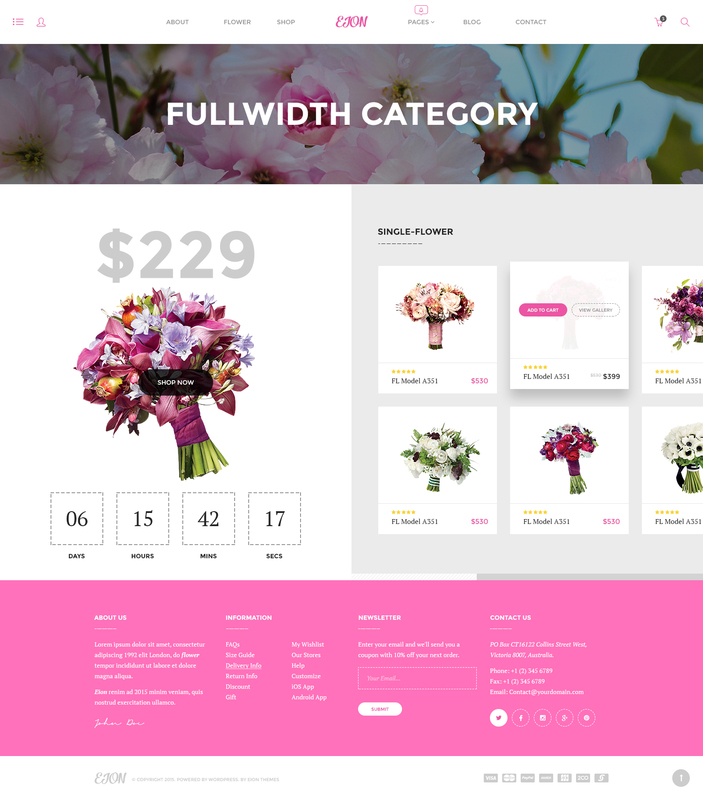 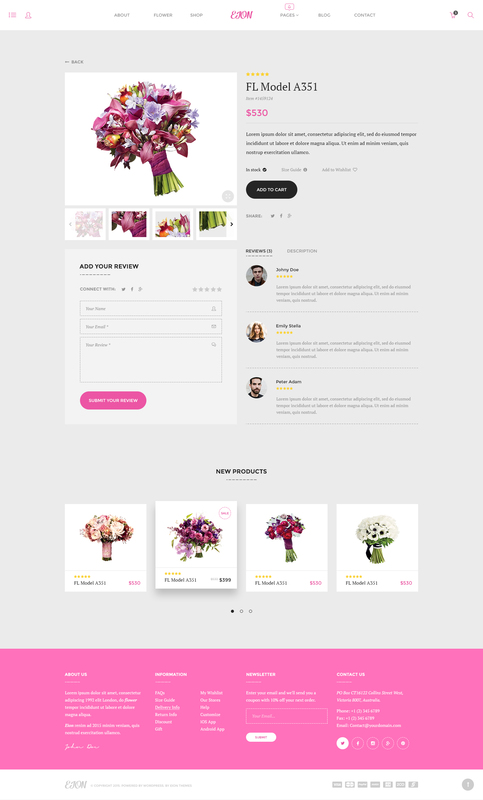 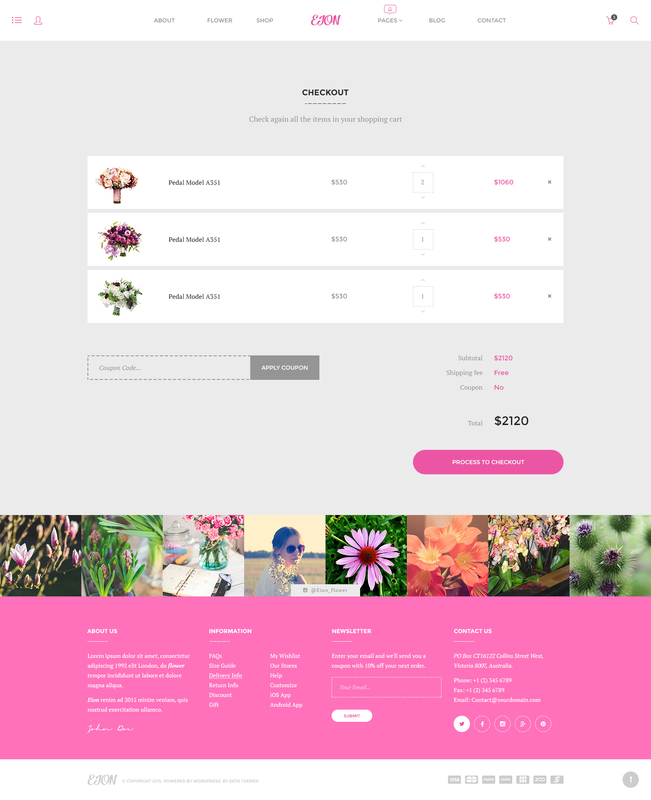 Download EION - EION is a free glamorous and charming PSD template for flower shops or beauty-specialized shops Subscribe for free download!